Eric Gordon, Plant Manager with BRANDT, Lincoln, IL, believes growers who have used micros and seen the value will continue to use them. “But I think any new sales will be hard without some strong on-farm trials to prove their value,” he admits. Micronutrients are still not top of mind for everybody, but they seem to pay for themselves more times than not, finds Daryl Warren, Vice President of Agronomy at Ceres Solutions, Crawfordsville, IN. “We’re getting more and more activity in that space every year,” he says. To be sure, the industry has seen tremendous growth in micro use over the last five years, points out Bill Engel, Senior Vice President with BRANDT Specialty Formulations. Today they are used throughout the growing cycle — from planting up until two to three months before harvest. Conventionally, most micronutrients have been soil applied at planting and in early plant growth stages. A factor in future adoption will be delivery of the products. 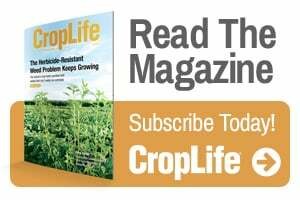 “New technologies in foliar application have been very successful in delivering late season nutrition after plants have utilized most of their nutrient reserves,” says Engel. It’s good to see someone writing about the positive aspects of applying micronutrients instead of the fear mongers sermonizing on saving someone into prosperity by cutting vital inputs that research shows are required; then lumping All foliar nutrition into one bucket of bad apples. For sure, separate the bathtub fly-by-nights from the quality formulators like Brandt, Custom Ag Formulators and others. The good formulators are good resources for solid foliar nutrition products that get into the plant tissue quickly. Leading growers of most US row crops are already using tissue testing in-season to compare and match plant response to soil applied fertilizers to their actual uptake. Tissue tests allow them to quickly respond and correct deficiencies, quick analysis is a key to best responses from good products. Rule of thumb, if you don’t need it, don’t spend the money; but if you’re looking at the tissue report and see the need, the application is money well spent.